Information Technology impacts every facet of a nonprofit organization. IT can be used to fund-raise, recruit volunteers, connect with the community, and to communicate an organization’s mission and services to the world. Unfortunately, small nonprofits often face significant barriers to realizing their technological needs and aspirations. Most non-profit employees have specialized skills and talents to serve the community, not technology. A recent survey by The Community Corps reveals that 88% of nonprofit organizations in the United States have little to no in-house IT resources. Without IT resources and support nonprofit organizations struggle in an increasingly digital world. 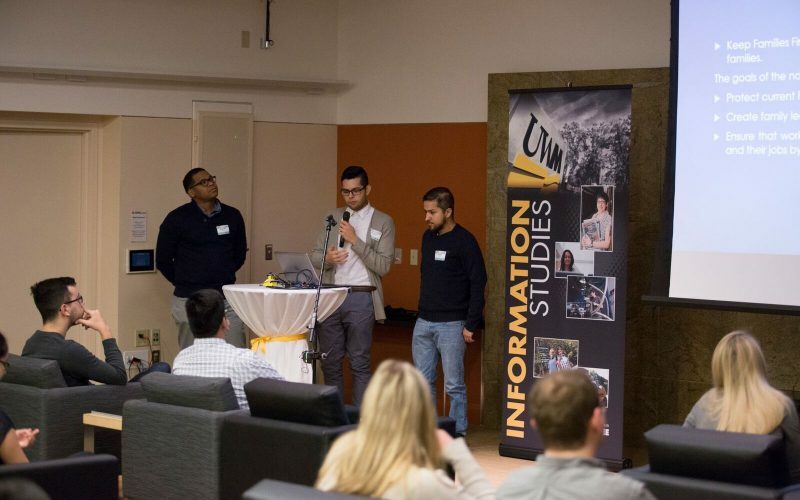 The mission of the nonprof-IT program is to empower local nonprofit organizations with comprehensive information technology support by creating internship opportunities for UW-Milwaukee students. 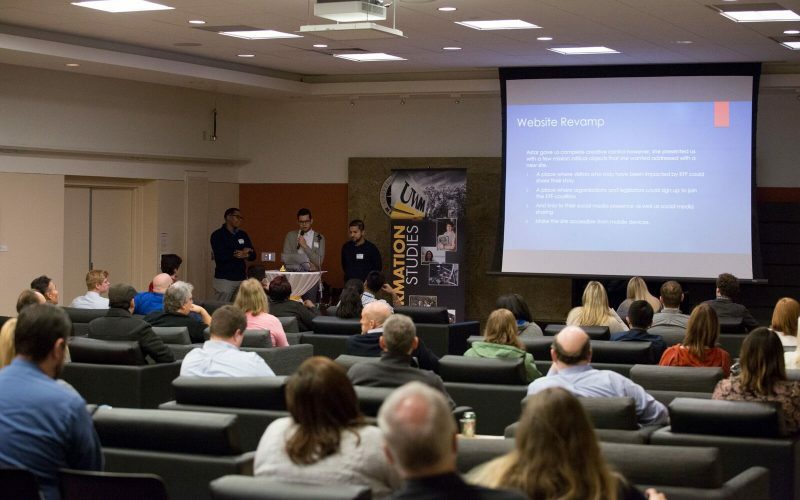 Under the supervision and tutelage of academic and nonprof-IT staff, the student teams work in unison with the nonprofit organization to assess their technology needs and goals as they develop, implement, and evaluate a customized strategic technology plan. 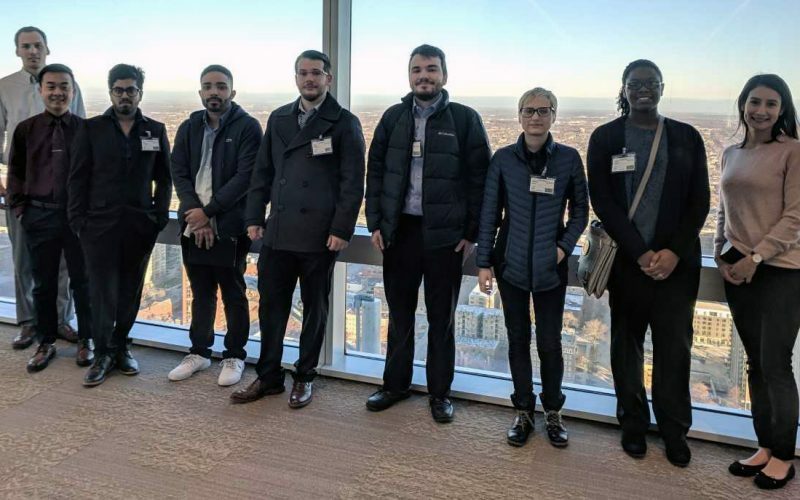 Each team of students also has a business mentor from the local business community to provide guidance and mentoring during project completion. Some of the companies nonprof-IT has worked with are Symmetry, Direct Supply, Misix, and Lightburn. 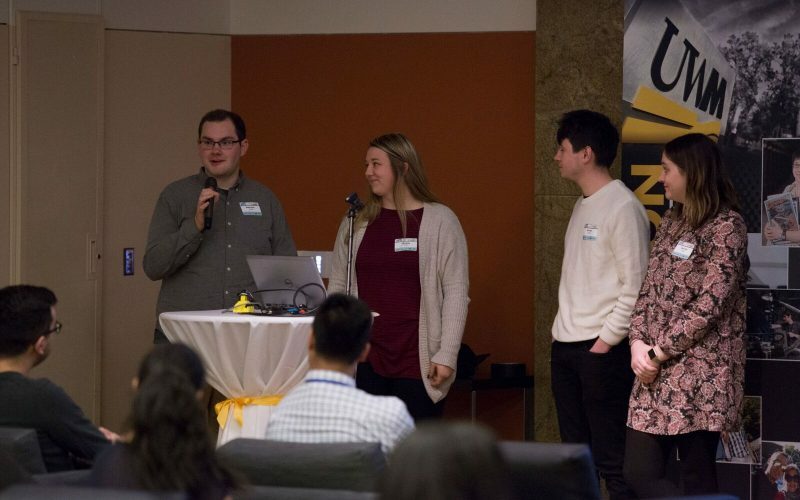 Over the course of semester-long projects, teams provide their expertise in roles such as designer, programmer, developer, analyst, and project lead. By collaborating with nonprof-IT, these organizations secure the specific assets they need to be successful – such as a new website, a social media engagement plan, or a secure network – allowing them to focus their energy and resources on the communities they serve.